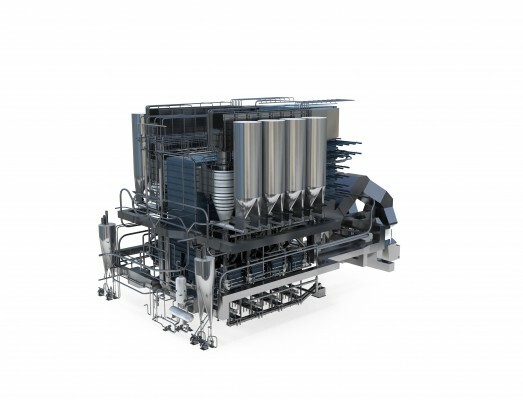 Utilising the efficiency of ultra-supercritical (USC) steam conditions and the flexibility of circulating fluidised beds (CFB), the Advanced CFB boiler offers 660 MW or more in output, based on the type of fuel. The boiler provides customers in coal-rich markets with the opportunity to reduce operating costs and increase output. By combining the two principles, Alstom offers customers a single, highly attractive boiler option, which diminishes fuel consumption and the carbon dioxide footprint by 6% versus plants of comparable size using traditional technology. The boiler is able to achieve this while ensuring fuel flexibility and reliability. With ultra-supercritical boilers the overall net efficiency of the power plant is increased by around three points compared to traditional technology based on subcritical steam pressure and lower steam temperatures. Alstom has already established leadership in ultra-supercritical boilers and up to 30% of the world’s boilers use Alstom technology. 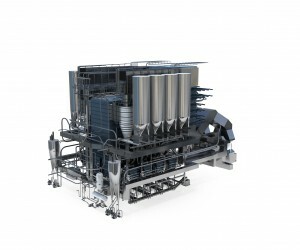 In addition, circulating fluidised bed technology allows for a wide range of lower-grade fuels, such as lignite and anthracite, to be combusted efficiently and with low emissions – reducing the need for additional environmental protection measures. Further versatility comes from the ability to fire on mixes of fuel types, and even ‘fuels of opportunity’, including biomass and oil shale. Over 32 GW of CFB boilers installed in the world today use the Alstom technology with a maximum commercial size around 350 MW. This product is best deployed in markets where lower quality fuel is available. As a result, areas of Vietnam near the anthracite mining industry is a prime market, as are the lignite producing regions in Turkey, India and eastern Europe. Other developing markets include Indonesia, where more high moisture lignite is being produced and South Africa which has large amounts of waste bituminous coal available.